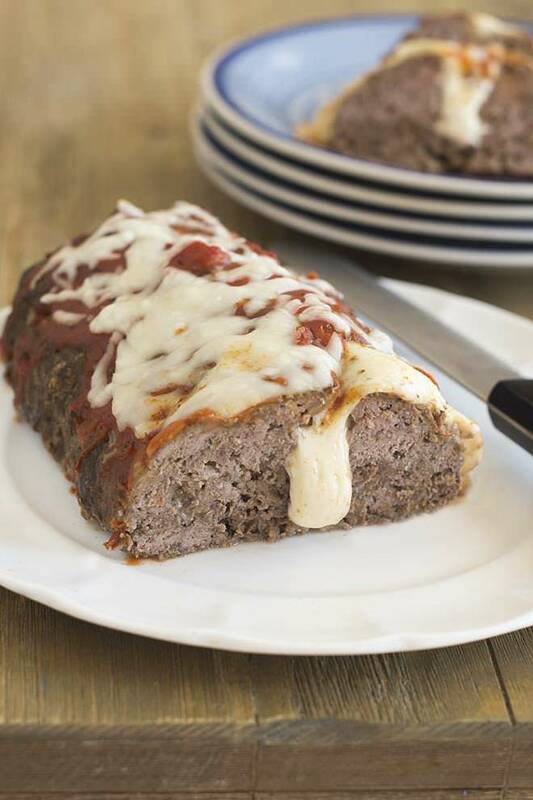 A classic meatloaf with a delicious surprise in the center…cheese! O.K, I have a confession to make. I seriously love meatloaf. I’m not sure why I feel embarrassed to admit that. It’s probably because the name of the food, the meat + loaf thing doesn’t sound very appealing. And maybe also because the recipe is so old school, and not in a good way. Although, come to think of it, I’ve been seeing meatloaf on some fancy restaurant menus lately. Maybe it is a retro cool dish. Oh wow. Look at me. I’m trendy after all. 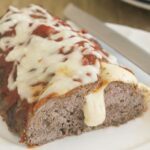 Whether I’m a trendsetter or not, my love of meatloaf drove me to create the perfect meatloaf recipe. It’s so good that I’ve made it twice in October already. The second time I made it, I decided to do things a bit differently. 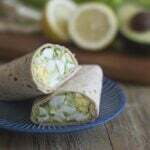 I stuffed it with cheese! 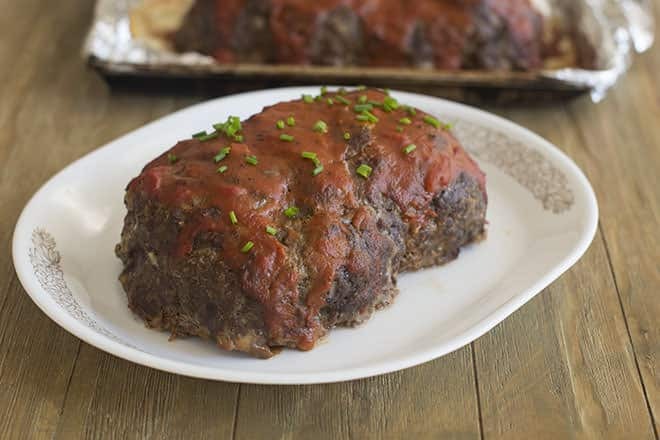 That’s cheese-stuffed meatloaf is the one I have for you today. 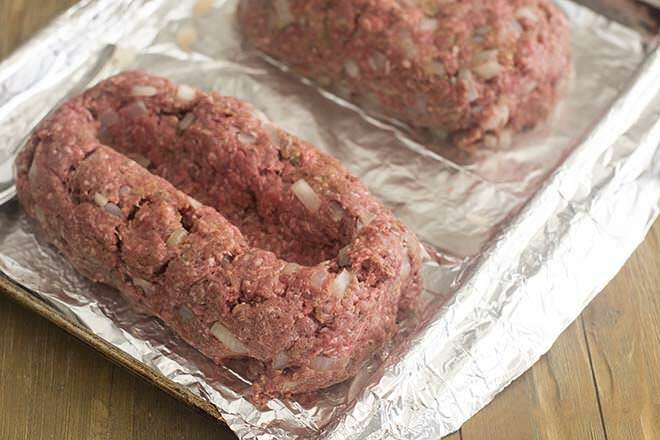 But do check out that perfect meatloaf recipe for tons of great meatloaf tips and tricks. Add your cheese. I used cubed cheese because I thought shredded might melt too quickly and escape. It worked really well and there was very little leakage. However, I haven’t done a test with shredded cheese to see if it would be worse. I figured, it worked with the cubes, why risk it? Here you have 4 ounces of 1/2 inch cheese cubes (about 20 cubes). Smooth the meat up, around and over the cheese. Bake it at 350°F for 45 minutes. 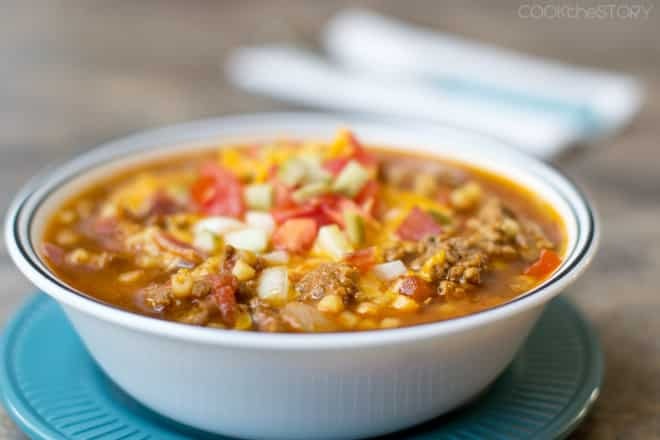 Then add tomato sauce and shredded cheese to the top and bake until the internal temperature is 160°F (use an instant-read thermometer to check this), about another 15 minutes. After that, it is crucial (CRUCIAL!) that you let it rest for at least 10 minutes, 15 is better. Just take the pan out of the oven and put it on a pot holder on the counter and leave it there. The resting time lets all the juices settle a bit so that the meatloaf is easier to slice and so that the slices hold their shape. Don’t worry, it will still be hot and full of melted cheese when you cut into it. Once it has rested, use two large spatulas to transfer the meatloaf to a cutting board. If you choose a nice board, you can slice it and serve it from there. 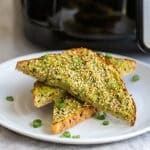 When it comes to slicing, consider using an electric knife. You don’t have to exert as much downward pressure so the slices stay really nice and intact and you can get away with make thinner slices. There you have it. 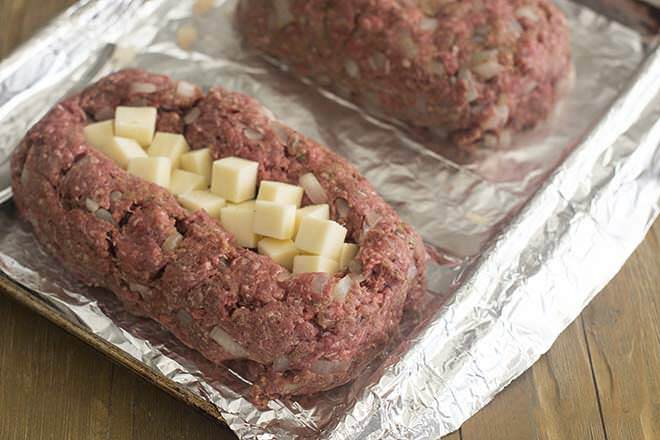 A delicious meatloaf with a oozing melted cheese filling. Who could ever say no to that? 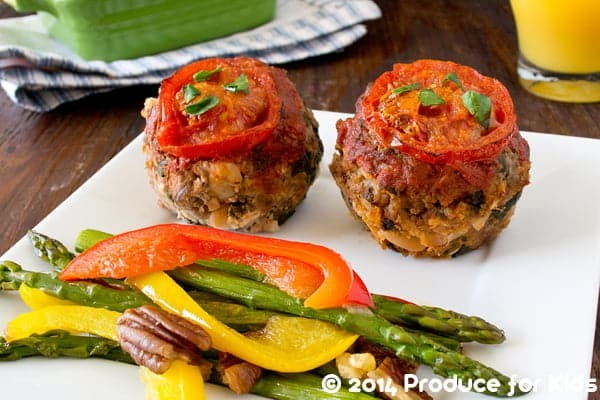 A classic meatloaf with a delicious surprise in the center. To the bowl add ground beef, breadcrumbs, ketchup, Worcestershire sauce, Italian seasoning, garlic powder and egg. 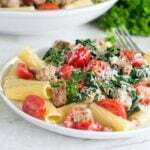 Use your hands to squeeze and knead the meat until the seasonings are all mixed through. Do not overmix. Make a 2 inch wide trench in the loaf (see image above in post). Go down deep into the loaf but leave at least 1 inch of meat on the bottom. Add cheese cubes to the trench. 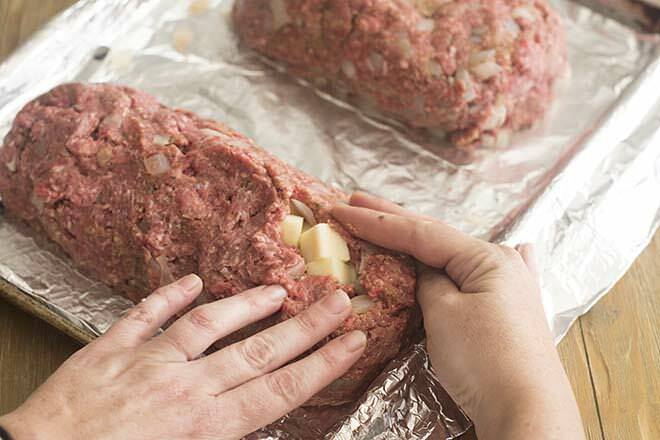 Use hands to smooth meat up and over cheese. 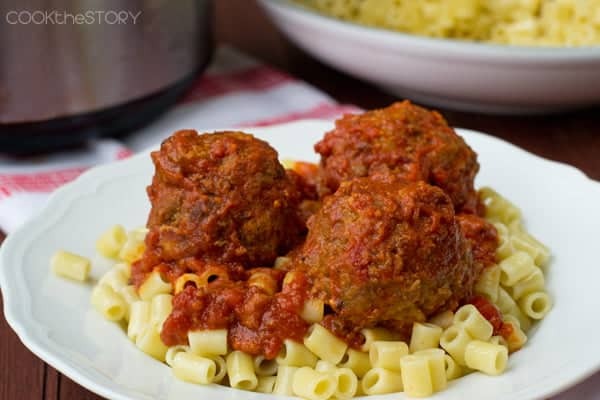 Remove meatloaf from oven and spread with tomato sauce and top with shredded cheese. Disclosure: This post contains Amazon affiliate links meaning that if you click on one and buy something I will receive a small commission at no additional charge to you. All opinions are honest and my own.